EMAIL INTERVIEW – Scott Cochrane and Continual Energy Inc.
Scott Cochrane is President and CEO of Cochrane Supply & Engineering, a leading industrial IoT and building controls supplier with locations throughout Michigan, Ohio, and Kentucky, as well as one in Canada. In 2000, Scott took over the business from his father, Donald Cochrane, Sr., who founded the company 50 years ago. He is proud to be an advisory council member for multiple industry manufacturers such as Honeywell, Johnson Controls, and Tridium, and to be named a 2016 IBcon Digital Impact Award Winner for his innovative contributions to the industry. Continual Energy Inc. solves critical building energy needs. From HVAC system optimization technology to engineering studies, performance guarantees and financing to monitoring based commissioning technology, they deliver and sustain energy and cost savings across various building applications. Scott Cochrane of Cochrane Supply & Engineering has the unique benefit of working with 300+ of the best systems integrators in the country. Cochrane recognizes the critical role they have within the building automation industry and is speaking with a different highly-regarded MSI each month with the goal of providing examples of industry trends, best business practices, and the growing value of an MSI. Continual: Continual Energy Inc. (Continual) began as a group of industry experts coming together to focus on providing building energy solutions – in short; we’re a business that helps other businesses reduce their energy usage. As Continual’s founder and president, Philip Kennedy has over 20 years of industry experience in HVAC design and system optimization with a foundation in chilled water plant energy simulation and optimization. 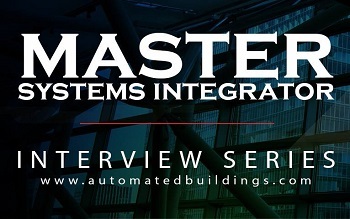 Continual’s co-founder Jason Zwicker brings over 15 years of building automation system and integration experience with a focus on the integration of the latest software platforms and technology. Today, Continual leverages both the experience of our leadership and that of our highly trained and diversely skilled team of developers, installers, and engineers to provide our clients with the best possible solution options. Continual: The best Master Systems Integrators will have years of industry experience including professional level software engineering and extensive experience with data-driven networks and the latest security requirements and best practices. In addition, a good MSI will be well-versed in multiple product lines and various technologies, including both proprietary and non-proprietary solutions. Continual not only offers a wide range of products including both industrial-grade and commercial-grade control products but also regularly works on an extensive variety of other systems including integration with legacy and proprietary systems. Beyond experience, there is also a requirement to make a commitment to education and training on new and existing technologies. Continual is dedicated to ensuring our team has the required certifications and accreditations to deliver the best possible results for each and every project. In addition, a good MSI will engage with their industry and take part in related professional associations. Both Philip Kennedy and Jason Zwicker are ASHRAE members and Philip is active with many committees on energy efficiency. Finally, good communication skills and self-sufficiency when dealing with technical support groups, perseverance, and a curiosity of all things IT are valuable qualities. Continual: We take on less of the traditional sales role and act more as a trusted advisor or consultant to our clients, never hesitating to make the best recommendations for our customers whose needs and goals will always be our priority. Not only are we selling our experience, but also our abilities to execute – our team of experts and an extended network of technology partners can efficiently execute projects across North America and globally. We leverage our industry knowledge and work with clients to form long-term development plans that suit their growth strategies. We often say, “Our best salespeople are our clients.” And this is evidenced by the fact that more than half of our business is new projects with existing, repeat customers. Continual: Our services are procured mostly as direct to portfolio owner sales with a small mix of some bid and spec. work. Partner Josh Kahan works closely with many of our clients to introduce our offerings and works together with clients to determine how we can provide benefits to their business and operations. Many contracts start with an audit of existing operations (mechanical, electrical, and automation). R&D: 40% - With Continual’s key growth strategies being a blend of both market development and product development, a large amount of our team’s time is spent focused on new research and development opportunities. We’re constantly trialing and testing the latest software and hardware to push our product offering forward and are proud to be able to offer our clients solutions that incorporate the leading-edge of HVAC and building technologies. Being part of developing the direction of industry growth allows us to provide solutions for our clients that ensure their buildings are well-positioned for future growth. Consultation: 20% - Not only do we pride ourselves in providing our clients with the best advice for their systems and buildings, but we also support our clients by providing project management services and coordinating other integrators and solutions providers. Software Programming: 20% - Our in-house team of dedicated development professionals spend every day working with and leveraging the latest software technologies both to provide products and solutions to our clients and also to provide tools to our team to maximize productivity. Field Commissioning: 20% - Our team of experienced field technicians take great care in performing commissioning of our own systems and provide re-commissioning services for existing systems. Continual: One of the main challenges we face today is IT security. We frequently encounter systems that are strung together with unmanaged network switches, running legacy operating systems with unpatched known vulnerabilities that are susceptible to the many existing and ever-present threat of viruses. Most clients are shocked to learn that not only do they have systems at risk of being compromised, but all interconnected systems are also at risk with the potential threat sometimes spanning entire portfolios of buildings. Networking and IT security are now an inseparable part of the systems integrator’s industry, and the onus is on integrators to educate themselves and provide clients with the best possible advice and keep them apprised of potential threats and latest best-practices. Another challenge that is unfortunately still encountered today is the continued sale of proprietary systems and technologies. We feel that good MSIs standardize on open frameworks, protocols, and technologies, but the best MSIs will leverage these open platforms to provide solutions to clients that are above and beyond the standard offering and will allow for maximized growth and future development within the client’s building and/or enterprise. Continual: Master Systems Integration is a large part of our business today and as technology continues its steady upward trend, will continue to be an important part of our future development and growth. Even with the advent of more open technologies that arguably make integration an easier task, the scope of the industry is broadening to include many more systems and functional requirements. Maintaining our status as an MSI is how we will grow our business and continue to support our clients as we move together into the future of building energy solutions. As the second piece of this column, Scott Cochrane incorporates additional feedback from the perspective of one of Continual’s customers, Bentall Kennedy (Canada). Responses are care of John Arruda, Senior Manager Operations, Regional Ontario Ops at Bentall Kennedy. John Arruda, Senior Manager Operations, Regional Ontario Ops at Bentall Kennedy. Cochrane: Do you recognize the business model of a Master Systems Integrator? Arruda: As we understand it from working with Continual, the model is to use experience with multiple systems and products to provide an inclusive offering that can include all our building systems, helping us save energy in the present and plan for the future. Cochrane: What are your thoughts on this service? Arruda: It’s a very valuable service that has helped move the technology in our portfolio of buildings forward and provided substantial energy savings as a result. Cochrane: What value did it bring to you during your project? Arruda: Having Continual involved on an ongoing basis with projects has provided some valuable insight into new potential solutions and breaking away from the traditional technologies which have become uneconomical to maintain. By leveraging existing building infrastructure and layering on new technologies to move us forward, Continual has assisted in planning the future development and growth of our building systems. Cochrane: How integral is the IT backbone when it comes to an MSI developing plans for a building? Arruda: The IT backbone is critical, and we’ve recognized that engaging with an integrator that has the proper IT security knowledge is invaluable. Cochrane: Do you see the need to utilize a building data architect in the future? Arruda: Even today as we start connecting more and more additional systems, the management of the data is already very important in the present. We’re already leveraging data for energy rebates, certifications, proactive maintenance, and more. We can only see this data becoming more and more valuable in the future. Cochrane: How do you envision procuring these services going forward? Arruda: We will continue to engage services of integrators based on positive experiences and productive projects, engaging others where needed based on industry feedback and recommendations from existing integrators.